Rate My Flight | Who is the worlds favourite airline? Who is the Worlds Favorite Airline? At Rate My Flight we crunch the numbers on the flight ratings we receive from you. Our calculations are designed to smooth and present a fairer representation of the ratings. This being said, the results DO NOT give any airline an advantage or disadvantage in our ratings. They are fair and accurate. 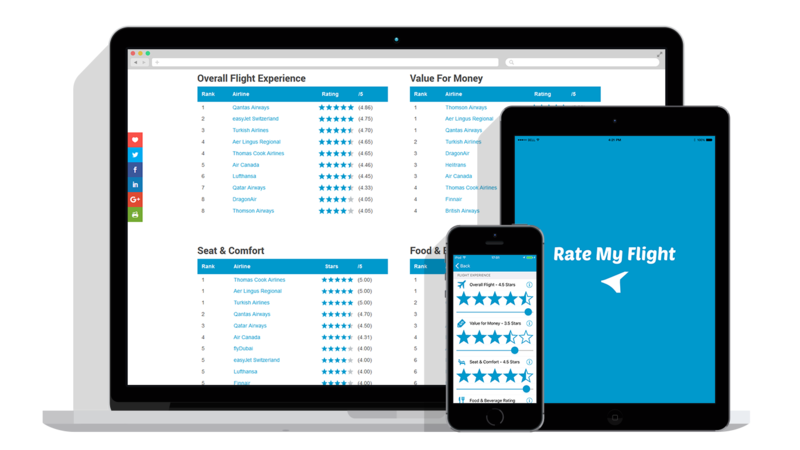 We do this to allow you, the passengers, to find the top airlines in each of the user experience categories that matter most to you. Check out our standard Top 10’s below.